Kevin S. Gardner is an associate in the Salt Lake City office of Lewis Brisbois and a member of the General Liability Practice. Mr. Gardner is licensed to practice in Utah and California. 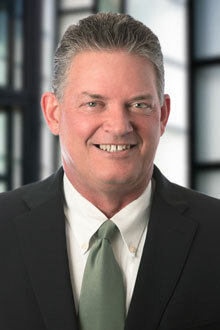 His practice includes personal injury defense, construction defects, and property and casualty claims, including fires. Mr. Gardner's professional experience includes service as in-house counsel to a commercial property developer, in-house counsel to an insurance carrier, hearing officer for the Utah Board of Equalization (property tax appeals), panel chairman for the Utah Department of Commerce (pre-litigation hearings) and as an appeals officer for a healthcare company. Mr. Gardner also speaks Spanish. Berhanu v. Metzger, 15 Cal.Rptr. 2d 191, 12 Cal.App. 4th 445 (Cal. Ct. App. 1992). Asael Farr & Sons Company v. Truck Insurance Exchange, 2008 UT App. 315, 193 P.3d 650. Utah Dispute Resolution, mediator certification. Indemnification Provisions in Construction Contracts, National Business Institute, October 2018. Successfully defended Edge Homes against claims of negligence at a construction site--jury trial defense verdict, October 2018.